Recently Porsche has introduced its updated Panamera. So now it is time for the renewed Cayenne SUV as well. Now the carmaker is working on the SUV to make it smaller and more dynamic that its Macan to keep sales increasing this year. We would like to remind that the auto manufacturer sold 15,545 Cayenne cars in 2013, and 18,507 last year. This updated version of the Cayenne will be presented as a car of 2015 model year. It will be officially presented next month in Los Angeles or in October in Paris. The updated exterior includes new bumpers with renewed intakes, a grille and daytime running lights as well. Probably, the car will get a redesigned exhaust pipe. Meanwhile, we will see the significant change in a power unit in the SUV. 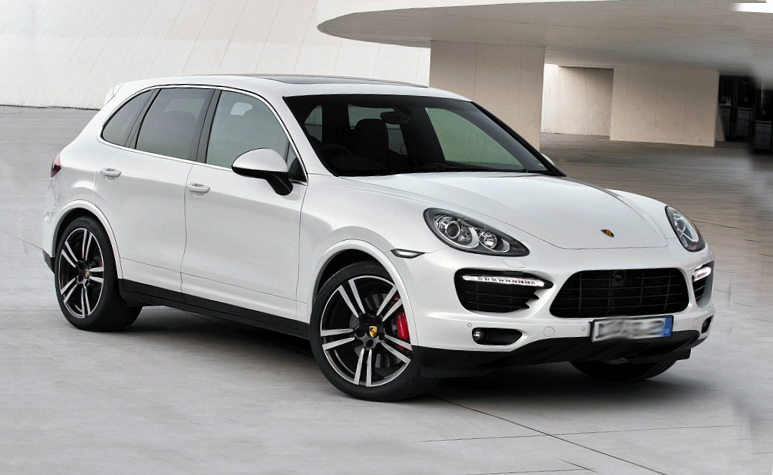 The updated Cayenne will get the 3.0-liter V6 turbocharged engine, which is able to issue the power of 420 horsepower. Moreover, the Porsche plans to produce the Cayenne S equipped with the E-hybrid power system, which firstly was used in the 2014 Panamera S hybrid. This hybrid powertrain consists of the gasoline V6 engine and the electric motor; in combination, this powertrain produces the output of 416 horsepower with the fuel economy of 75 mpg and 22 miles electrically drive only. In addition, according to rumors, the carmaker plans to launch the new Cayenne Diesel that will be updated by a powertrain with the output of 300 horsepower. Then, certainly, we should not forget about upgrading of Cayenne Turbo and Turbo S as well. Most likely, the latest version will get the same powertrain as the newest Panamera Turbo S –the unit issuing the power of 570 horsepower. The new Cayenne will get the brand’s PDK dual-clutch gearbox while both Cayenne S E-hybrid and Cayenne Diesel will be equipped with the eight-speed automatic transmission. There are technical updates such as the newest multifunction steering wheel, adaptive cruise control system, automatic braking, lane departure warning assist and others.